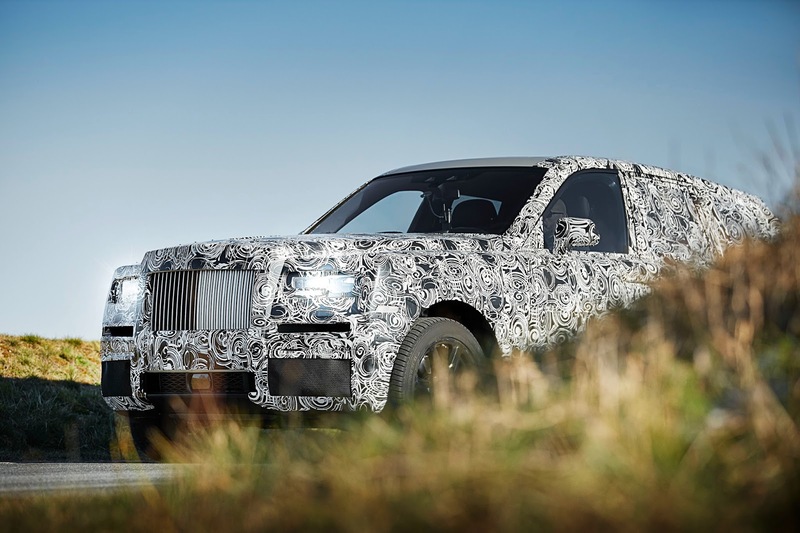 Is Rolls-Royce the last major automaker to adopt four-wheel drive? 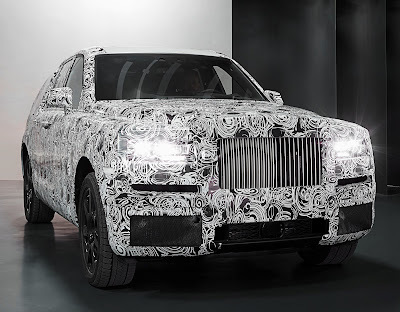 Certainly, aficionados of the marque will not have long to wait with 2018 as the launch date for the Cullinan with a price tag of circa £300,000. 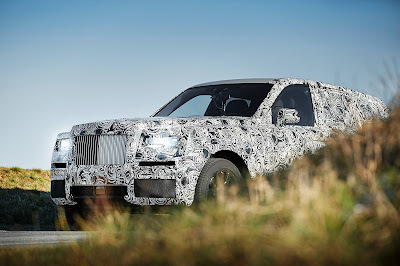 First full development testing of the prototype SUV begins tomorrow and just after Christmas testing proper will commence as Project Cullinan enters the Arctic Circle to undergo cold weather durability and traction testing. Later in 2017, it will travel to the Middle East to endure the highest of temperatures and challenging desert conditions. On- and off-road testing of vehicles marks the latest key milestone in the development programme of this new ‘all-terrain, high-sided vehicle’. The company points out that this latest development vehicle will travel to numerous locations around the world in a challenging testing programme to ensure that the end product will be ‘Effortless … Everywhere’. As for the powertrain, it will be interesting to see which design Rolls-Royce, and BMW choose. Rolls-Royce became a wholly-owned subsidiary of BMW in 2003. Earlier this year BMW confirmed its flagship version of its new 7-series luxury car, known as the M760Li xDrive V12, will be powered by a twin-turbocharged gasoline engine with 600 bhp. The 6.6-litre unit boasts 590 lbft torque, placing it ahead of a Lamborghini Aventador (509 lbft) and Ferrari F12 (520 lbft), and with four-wheel drive can accelerate the four-door saloon from 0-62 mile/h in 3.9s. aston Martin's electric SUV, the DBX, will be built from 2019 onwards at its £200 million St Athan facility in Wales. No doubt new-comer Max Szwaj will have an input into this - somewhare along the line.